St. Jude patient and aspiring sports broadcaster Austin fills in as a special corespondent for NFL on CBS. Watch the interview. Being a big sister is a huge responsibility. But Maziya takes it to a whole new level. Because she shares the same disease as her sister, Maddalynn, Maziya and her family were better able to help Maddalynn with her treatment. 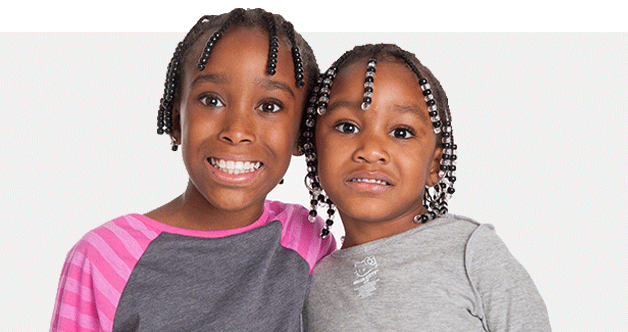 Read their story, and find out how the St. Jude sickle cell program is helping their family. At only 6 years old, Eleanor has raised funds and recruited others in her passion to help the children of St. Jude. Honor a friend or family member by purchasing a brick on the 2016 Pathway to Hope. What causes cancer in children? The factors can be different from adult cancers. Find out how St. Jude researchers are leading the way the world understands the disease.